“Recruitment: The action of finding new people to join an organisation.” The Oxford English dictionary definition may have stayed largely the same, however the way we recruit new employees has changed dramatically! In the last 15-20 years, technology has been the driving force behind such dramatic changes, improving the speed the way things happen & the information available. So much information is now available at our fingertips with the click of a button. For recruiters, the CV is no longer the only thing to help, with access to news tools such as social media, while information on the current market and potential new business leads are also more readily available. From a candidates point of view too, there is instant online access to pretty much all adverts for jobs in Banbury & beyond, while when mulling over a job offer, having access to relevant company information, reviews, forums etc. can be pivotal in making the correct decision. The recruiting process can now happen in the blink of an eye. Gone are the days of using snail mail to post your CV! With the industry so exclusively online, things can happen so instantly, while the variety of ways in which to communicate has grown enormously, again, speeding up that hire. A large online presence is now vitally important in maintaining and increasing your company brand awareness. For us, as a recruitment agency in Banbury, this is important and key to our business, not only in reaching out and finding candidates ourselves, but also equally essential to ensure people come to us too! 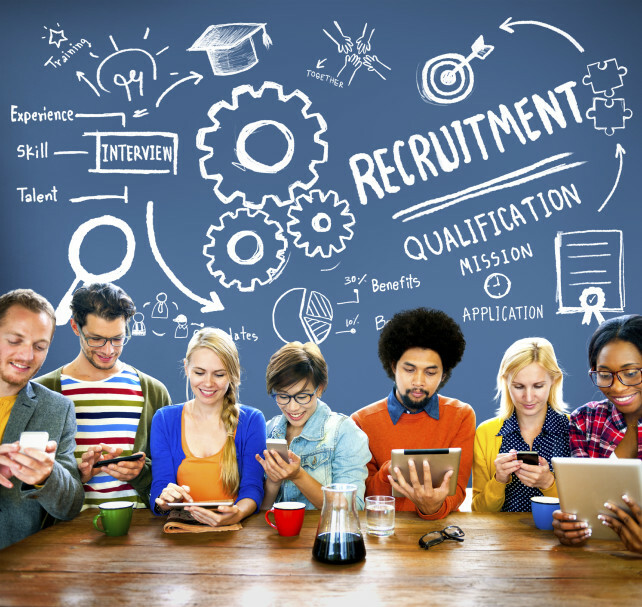 Social media in particular, has revolutionised the recruitment industry. It is a great way to reach out to your audience from a recruiter’s point of view, both collectively and individually. From a candidate’s point of view, it is also a great tool to self yourself and be discovered, particularly in the case of LinkedIn, allowing you to connect and interact with employers & recruiters. Today, job advertising is almost exclusively online. Gone are the days of flicking through the local newspaper, through pages & pages of job adverts. Job adverts are now incredibly accessible and at our finger-tips 24/7. Through online jobs boards, you can read the information and forward your CV with the click of a button, while most companies will advertise their vacancies on their own website too. Recruiting in the past was exclusively done through post, fax, phone or in person. Today, is a wholly different world. Faxing has all but disappeared, while it seems strange if someone does not have a mobile phone or e-mail address! Social media now has an increasingly massive part within recruiting with Facebook, Twitter and the professional network LinkedIn, all playing slightly different roles. Video interviewing, for example through Skype or facetime is another excellent string to a recruiter’s bow, aiding the distance recruitment process, as well as people who cannot afford the time to visit a recruiter face to face. Social media now has an increasingly massive part within recruiting with Facebook, Twitter and the professional network LinkedIn, all playing slightly different roles. Video interviewing too, (for example through Skype or facetime) is another excellent string to a recruiter’s bow, aiding the distance recruitment process, as well as for people who cannot afford the time to visit a recruiter face to face. As you can see, technology has had a huge impact on the evolution of recruitment. But what hasn’t changed? Well, one thing that hasn’t changed and one thing that should never change, is that personal touch or human element. It is an essential part of recruitment, whether to persuade, encourage, inform, help or support. There’s just no ideal substitute and is key in truely providing an effective and successful service to both candidates and companies alike.